Superdry men’s mesh tarp backpack. This practical rucksack has multi-function compartments including a padded laptop sleeve, suitable for a 17” laptop, and a tech outer compartment complete with a headphone cable eyelet. Combining function with comfortability, this backpack has a ventilated back panel, adjustable padded shoulder straps and a grab top handle. 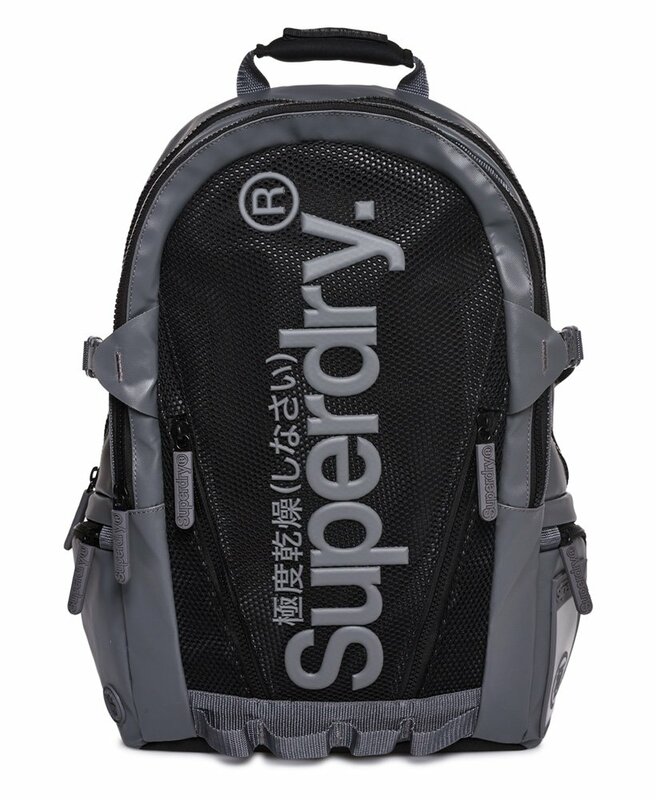 The backpack is finished with a mesh front, raised Superdry logo and Superdry logo detailing on the zip pulls.